For my Java course I was required to submit a program that can communicate with a database to retrieve and save data such as personal information, contact etc. I proposed programming a Sudoku game and solver. Sudoku is a mind game using number puzzles. Logical thinking is required to get through the game. Nonetheless it is enjoyable, making it a regular pastime for people all over the world. 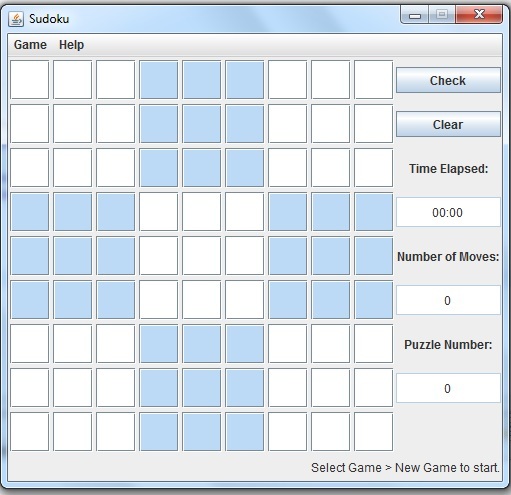 Sudoku has a distinctive game mechanics and techniques in order to solve it. The aim of the puzzle is to fill whole 9x9 grid with digits from 1 to 9 such that only one instance of a digit can be found per column, row, and the nine three-by-three sub-grids. The goal of this project is to provide a fully functional Java-based Sudoku game that does not only provide a predefined number of puzzles but can also generate its own puzzle. A saving feature will be added to save current sessions to be able to resume it in the future. The game will also have the ability to create player profiles, each having statistical information that displays best records and winning streaks, among others. This project, as the post title mentions, is currently a work in progress. The deadline will not be until the end of our school term so it may take me a while to finish it. I used to be playing this game and at times this is mind draining.